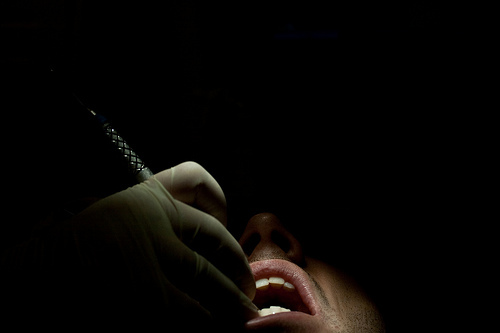 Through the past decade, Swedish residents whose ill health appears to stem from amalgam fillings have been able to ask their local county council for help in paying to have them replaced. But with costs an ongoing concern even in nations with universal healthcare coverage, the question gets raised: Does amalgam replacement help? This was the focus of a study published earlier this month in Community Dentistry and Oral Epidemiology. The aim of the study was to investigate symptoms, perceived health changes over time and health-related quality of life (HRQoL) in this population, comprising subjects with subjective health impairment, allegedly because of dental materials. A further aim was to compare their HRQoL with that of the general population. The most common health complaints attributed to amalgams were musculoskeletal pain (67.5%), sleep disturbance (60.0%) and fatigue (58.6%). Their quality of life scores were also “significantly lower” than that of the general population. And the result of having their amalgams out? Not much improvement at all. That last sentence is vital for understanding what’s going on. Simply put: If you are suffering symptoms of mercury toxicity or have been diagnosed with a chronic illness fueled by mercury, simply having them replaced is not enough. For one, if they’re not removed safely, the result can be a worsening of illness. It’s why we make a distinction between “mercury-free” and “mercury-safe” dentistry. The IAOMT guidelines for safe mercury removal explain exactly what the latter involves. But more, you also must deal with all the mercury that’s built up and been stored in the various tissues of the body. A healthy body has mechanisms for clearing mercury and other heavy metals and toxins; in illness, those systems are compromised. So first, the body must be prepared to heal by opening the channels of elimination; otherwise, those stored metals will stay put. Likewise, post-treatment detox supports the clearing of mercury and other toxins. Then, we see results more like those published last year in the Journal of Oral Rehabilitation: significant reductions in health complaints. They’re the kind of results we’ve seen in our practice for years. Please go into more detail about methods of detox after amalgam removal! A massive topic! Truth is, while there are some standard protocols (e.g., Cutler), specific detox plans can – and do – vary from practitioner to practitioner, customized to the patient’s needs and particular health situation. Nutritional and homeopathic therapies are common. We recommend first that within 24 hours of each mercury-removal visit, you have an IV infusion of specific proportions of vitamin C, minerals and amino acids. This helps get the detoxification process rolling. We can refer you to physicians who are expert with this protocol. Once all mercury has been safely removed, we will hone in on helping your body rid its tissues of the mercury that has built up over the years. At bottom, this process continues the nutritional and supplementation process through which you prepared your body to heal. Now you may wish to add other complementary therapies, including chelation. During our pre-treatment consultation and through the removal process, we will discuss your options with you and work with you to develop a specific detoxification plan appropriate to your needs and situation. As needed, we will refer you to complementary practitioners for services we don’t provide on site. Regardless of the methods you ultimately choose, it is vital to remember that the process can be dangerous if not closely monitored by an experienced practitioner.